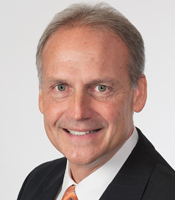 Mr. William Austen is president and chief executive officer of Bemis Company, Inc. Over the course of its 159-year history, Bemis Company has grown to become a global leader in providing polymer-based packaging materials to the food, consumer product, and pharmaceutical and medical device industries. The company employs approximately 18,000 associates, across 60 plant sites in 11 countries and generates annual revenues of $4.2 billion. Mr. Austen began his career as a field engineer at General Electric Company in the Marine Services Division in Newport News, Va., and over a 20-year tenure held functional and general management positions in both manufacturing and service businesses. He joined Bemis Company in 2000 as president of the company’s MACtac Division, a global producer of pressure sensitive materials. He was promoted to Bemis Company’s vice president of Operations in 2004, group president in 2012, executive vice president and chief operating officer in 2013, and chief executive officer in 2014. Mr. Austen earned a Bachelor of Engineering in marine engineering in 1980, a 3rd Assistant Engineer’s License in the U.S. Coast Guard, and a commission in the U.S. Navy while attending the State University of New York (SUNY) Maritime College. He also received a Master of Engineering Administration in 1984 from GW. He is a member of the Bemis Company Board of Directors and the Board of Directors Tennant Company, where he serves on the compensation and audit committees. He and his wife, Nancy, live in Oshkosh, Wis., and have two daughters and three grandchildren. 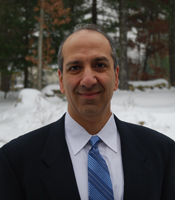 Dr. Bahram Javidi is Board of Trustees Distinguished Professor at University of Connecticut. His recent research activities include 3D visualization and recognition of objects in photon-starved environments; automated disease identification using biophotonics with low cost compact sensors; information security, encryption, and authentication using quantum imaging; nonplanar flexible 3D image sensing, and bio-inspired imaging. Dr. Javidi has been named Fellow of eight scientific societies, including the Institute of Electrical and Electronics Engineers (IEEE) and the Optical Society of America (OSA). Early in his career, the National Science Foundation named him a Presidential Young Investigator. 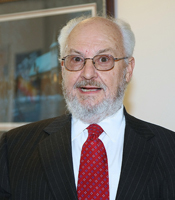 Dr. Javidi has received numerous other awards for his research including the Alexander von Humboldt Prize, Germany's highest research award for senior scientists and scholars, in 2007, as well as the IEEE Donald G. Fink Best Paper Prize and the John Simon Guggenheim Foundation Fellow Award in 2008. Most recently in 2015, he was awarded the European Physical Society’s Prize for Applied Aspects of Quantum Electronics and Optics. Dr. Javidi received a Bachelor of Science in electrical engineering from GW in 1980, and a Master of Science in 1982 and a Doctor of Philosophy in 1986 from Pennsylvania State University, both in electrical engineering. 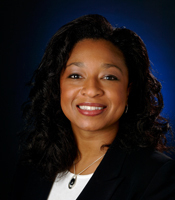 Dr. Christyl Johnson is deputy center director for technology and research investments at NASA’s Goddard Space Flight Center, where she manages the Center’s research and development portfolio and leads an integrated program of investments aligned to meet the Center’s strategic goals. She previously served from 2010 to 2012 as Goddard’s deputy director for science and technology. From 2008 to 2010, she served as executive director of the National Science and Technology Council at the White House Office of Science and Technology Policy. Prior to joining the White House staff, Dr. Johnson served as the assistant associate administrator of NASA. There, along with the associate administrator, she provided oversight of the agency's technical mission areas and field center operations. Dr. Johnson earned her Bachelor of Science in physics from Lincoln University in 1987, a Master of Science in electrical engineering from Pennsylvania State University in 1990, and a Doctor of Philosophy in systems engineering from GW in 2012. Dr. Gerald McNichols is currently a private angel investor and philanthropist. He founded MCR, in 1977, and as CEO, guided it multiple times to be a Fast 500 company and then an Inc. 500 company before its sale to GRC International, Inc. in 1999. After joining the Board of GRC, he helped sell them to AT&T in 2000. Since then he has acted as an advisor to numerous CEOs, served on boards of several private and public companies, and helped several startup companies succeed. He has been an adjunct professor at several universities, including GW, and has authored many papers and a book. He has received several Lifetime Achievement Awards and has been president or vice president of several professional societies. His foundation, founded in 2000, focuses on education and has helped many organizations achieve their goals through various grants. He and his wife, Paula, love to travel and have been on adventures to over 150 countries and all seven continents. He received a Bachelor of Science in management science with honors from Case Western Reserve University in 1965, a Master of Science in operations research from the University of Pennsylvania in 1966, and his doctorate in operations research from GW in 1976. Mr. Çağatay Özdoğru is a board member and the CEO of Esas Holding of Turkey and leads the firm’s investment and operating committees. Esas is the largest Turkish family office making direct private-equity investments. Prior to joining Esas, Mr. Özdoğru was the president of IT and telecommunications (2002-2005) in Turkey’s second largest conglomerate, Sabanci Holding. Between 1997 and 2001, he held various positions at France Telecom Group, where his last post was vice president of the REEMEA (Russia, Eastern-Europe, Middle East and Africa) region; he was also a member of the Global Operating Committee of the company. Mr. Özdoğru serves on the board of directors of Esas Holding companies such as Pegasus Airlines, Mars Athletic Group and World of Shoes retailer; in addition, he is also an independent board member at Krontech. He is chairman of Turkish-Swedish Business Council, board member of Turkish-French Chamber of Commerce, and chairman of the Lifelong Education Center of MEF University of Istanbul. 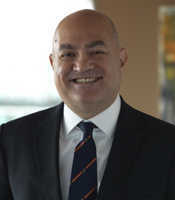 Mr. Özdoğru graduated from Istanbul Technical University in 1989 with a Bachelor of Science in electrical engineering. He also received a Master of Science in communications engineering from GW in 1991, and an executive MBA from the University of Maine in 1995. Mr. Rodolfo (Rudy) Rodriguez is the founder and chief scientific officer of Advanced Animal Diagnostics, and has 50 years of experience in bioengineering. Previously, he was vice president of R&D for Becton Dickinson Primary Care Diagnostics, and served prior to that, in senior R&D positions at Beckman Coulter and Baxter. 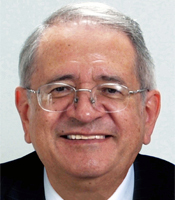 Mr. Rodriguez has a reputation as an R&D pioneer and was involved in the development of several products that created entirely new industry segments. Among them are the first automated blood cell separator (Baxter/Fenwal CS-3000), the first random-access chemistry analyzer (Coulter DACOS) and the famed BD QBC hematology system. Rudy subsequently adapted the QBC technology for companion animals, into the VetAutoread marketed by Idexx. Mr. Rodriguez holds 29 US patents, and was granted patents in each of the last five decades. He is an Adjunct Professor at NC State College of Veterinary Medicine, a four-time winner of the R&D 100 Award for one of the 100 most significant new technical products of the year, and was recently elected to the National Academy of Engineering for “inventions to analyze blood and separate blood components that enable widespread clinical therapies”. Mr. Rodriguez earned a Bachelor of Science in 1963 from the University of Miami and a Master of Science in 1969 from GW, both in electrical engineering.